Cuban President Miguel Diaz-Canel and his Haitian counterpart, Jovenel Moise, pledged here on Monday to strengthen bilateral cooperation, particularly in the fields of health and education. Both leaders praised the actual state of bilateral political links and cooperation and vowed to strengthen them in the coming years. This is Moise’s first visit to Cuba after he assumed office in February last year. On Tuesday, the Haitian leader will visit a solar panel park on the outskirts of Havana to boost cooperation with Cuba in the renewable energy sector. 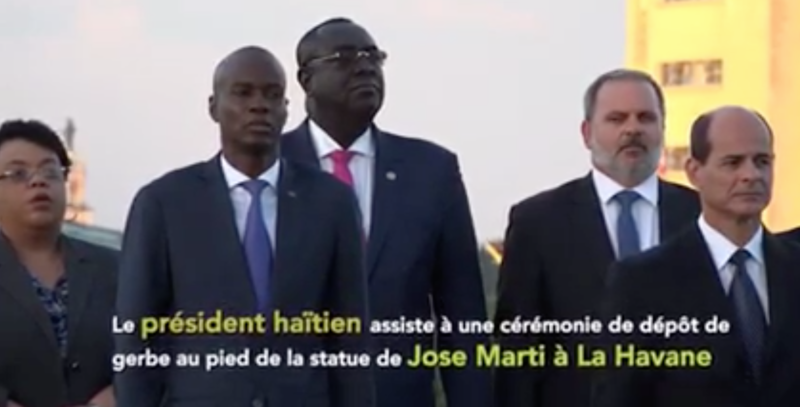 Diplomatic relations between Cuba and Haiti were established in 1904 and in recent years, the two countries have deepened cooperation in the fields of health, agriculture, education, water resources, construction and meteorology. Since 1998, Cuba has sent thousands of doctors and health personnel, education advisors and medical supplies to Haiti.